Non-Surgical procedures provide younger, more radiant looking skin with minimal downtime. Dr. Vanderpool offers a number of options to minimize fine lines and wrinkles or firm, smooth and shape the body to reveal skin that can look and feel years younger. 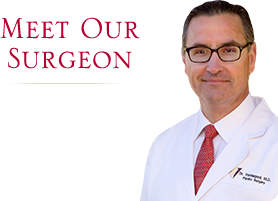 Dr. Vanderpool is proud to be the FIRST and ONLY Plastic Surgeon in Arkansas to offer the EMSCULPT treatment. Would you like more information about EMSCULPT? Consultations are always complimentary! Are you ready to love every view of you? The sooner you set up your consultation, the sooner you’ll see results in the mirror—long-term results in those areas that have resisted all efforts through diet and exercise. Contact us at 479-571-8585 to set up your consultation. Vanquish is the first non-invasive, non-surgical, non-contact, no pain, no downtime device used to eliminate unwanted fat. Vanquish is FDA-approved for deep tissue heating and nonsurgical circumferential reduction of the abdomen. The equipment heats fat to cause permanent fat cell reduction and uses high frequency radiofrequency to gently warm the fat layer of the abdomen, creating heat damage that kills unwanted fat cells. This amazing device uses radiofrequency energy in an adjustable panel that hovers over the targeted area of unwanted fat. Radiofrequency energy from the device is specially tuned to target fat cells. The energy passes easily through the skin but has a harder time getting through the fat. The energy collection in the fat causes heating of adipocytes (fat cells), leading to heat damage that causes a natural, controlled form of cell death termed “apoptosis.” The elimination of fat cells leads to a decreased thickness of the fat layer in the area of Vanquish treatment. Radiofrequency is a special form of electricity that is used extensively in dermatology and cosmetic surgery to target certain layers of the skin to help with skin tightening, collagen regeneration, and now deep tissue heating and fat elimination. Treatment is intended to “Conquer Your Core” – the treatment panel fits over the abdomen and flanks to reduce the size of the tummy and love handles (flanks). VASER Shape is a non-invasive procedure that combines ultrasound and massage to smooth, firm and shape the body. VASER Shape is safe and effective on both males and females and reshapes the body without pain or downtime. VASER Shape is a two part treatment that involves both ultrasound and massage. First the ultrasound energy warms the targeted area and treats the underlying fatty tissue causing the contents of the fat cells to leak out. Then the zonal massage helps to increase local blood circulation, open lymph nodes and encourage the body to remove excess fat. Together, these two processes work to smooth, firm and shape the body. EndyMed Pro is a non-surgical, non-ablative treatment that uses heat energy to tighten skin and reduce wrinkles. This new technology safely and comfortably delivers energy deep into your skin, restoring firmness and smoothing wrinkles—all without surgery or injections. EndyMed Pro stimulates collagen remodeling to generate a more youthful appearance. EndyMed Pro treatment is effective for all skin types. Treatments are generally comfortable with no downtime and no side effects.